New Delhi: The government has constituted a Group of Ministers (GoM) under Finance Minister Arun Jaitley to look into concerns raised by some states and stakeholders over the draft National Medical Commission Bill 2016. The bill seeks to replace the Medical Council of India (MCI) with a new commission to steer medical education in the country. “The government has formed a GoM under Finance Minister Arun Jaitley to look into the concerns raised by some states and doctors on the draft National Medical Commission (NMC) Bill 2016. The GoM will meet on March 20 and submit its report in 15 days,” a senior government official said today. The draft National Medical Commission Bill, 2016, will be placed before the Cabinet after the GoM submits its report, the official added. Last year, a high-level committee headed by Niti Aayog Vice-Chairman Arvind Panagariya looked into the issue of poor regulation of medical education by the Medical Council of India (MCI) and proposed replacing it with a new commission. Besides Panagariya, the panel included Prime Ministers Additional Principal Secretary P K Mishra, Niti Aayog CEO Amitabh Kant and Union Health Secretary. 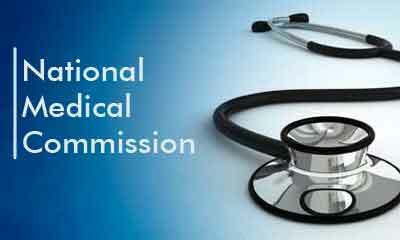 After approval, National Medical Commission will become the main regulatory body and will take over all roles and responsibilities of MCI. The new body will have eminent doctors and experts from related fields to steer medical education in the country so as to ensure quality of education is at par with global standards. Last year, a Parliamentary committee had called for revamp of MCI, saying it has failed in its role as a regulator which has led to a downfall in India’s medical education system. Another aspect no body sees, how doctors are over burdened in Government Hospital. Where I was working as specialist anesthesia (2008-2011), there we 2 anesthesia(including me) specialist against the sanctioned post for 5 anesthetist. We were expected to cater service for routine Major OT daily as well as on call 24 hours Emergency OT on alternate day basis. This is about the >600 bedded hospital G B Pant Hospital (Gov. of India). Port Blair. People / Government don\’t see the Labor law violation regarding the working hours. Sharing labor of other not appointed doctors. Even government is not sharing the money that comes for the not appointed post which comes (as there is no law towards it) – financially compensating for the over work taken by the Government. So some doctors are not slave, abiding the prevailing situation of law and exploit by Government\’s ill fit of Laws, and are charging for the extra time they spend in the Govt Hospital. Now here Law / social obligation is present to label them defaulter. But nobody see the exploit done by Government towards doctors, with out paying out for the extra time asked for working in the name patient humanity. Were is humanity towards doctors whom every body sees a robot(not humans to be shown humanity) and presumed slave of social / moral obligations with out financial gain. Govt. is solely responsible for the downfall of medical education as it has given free reign to MCI to recognize pvt medical colleges run by MCI members, politicians and industrialist. Huge investment in crores cannot be drained. Good that govt has opened eyes probably corruption was just brimming. NMC is a good move, long awaited but must be overpowering corrupt MCI. All the private colleges now should be controlled by Government as lots of black money has gone in building them. This also serves the purpose of having more medical colleges at affordable rates leading to prevention of malpractice by Drs passing out. In pvt MC payment to staff is poor, 70% is sham, patient intake so low that students cannot study. THE SAME IS TRUE FOR DENTAL AND OTHER MEDICAL BRANCHES as AYURVED, Homeopathy, physiotherapy and nursing or MLT. Rampant malpractice and unaffordable medical trtmnt is due to these colleges as priority is to get back obviously black / white money invested in education from public. Even the honest Drs of yester era have become commercial. That is one of the reasons growing resentment is seen in public against the Drs. NMC should also look into private hospitals as the Drs who have passed out at cheaper rates (because education is commercialized) from govt medical colleges are charging exuberantly. Drs in govt setup are missing during working hours, culture of honarary Drs is to lure patients in their pvt setup, etc. Drs not only take their regular fees but also charge under the table, in corporate hospitals and owners are aware of this. I just hope the NMC body which is formed has clean character empathetic members who are truly there for serving public by producing good, honest sincere Drs ane best ever medical services the public has had so far in any setup be it govt or pvt. Shri Arun jaitley chairman group of ministry on Medical commission of India . Sir warm regards for providing able administration of under the prime Minister shri narenra modiji , as the present facts are placed before your kind self and with inputs from Niti ayog ,it is my sincere and earnest request for government to take over all private medical colleges by creating an ombudsman and appellate authority and regulated all medical Dental, Nursing ,pharmacy ,Ayurveda,Unani,Homeopathy and Siddha Medical sciences and create a authority like Reserve bank of India and government undertaking for all medical science like public sector banks also the the tip of iceberg are all state and deemed variuos health universities in the country are epicenters of corruption and nepotism false hood and bigotry the Union government under the dynamic leadership\’s of shri Arilun jaitley Union cabinet minister should completely restructure and nationalise all health related AMD medical science courses in India under the medical commission of India without disturbing the fundamental rights ,sir however this exercise should not be a toool in the hands of political class and derive other results with strict enforcement of Union law if be required to bring under the schedule of the Constitution such as defence ministry. Yes…most corrupt institute….always in favour of those colleges , which doesn\’t have infrastructure. Requires both medicos and politicians who really wants to look into the betterment of health system of India.